We are in the middle of winter and have been in a cold spell. Dry days and clear nights have lead to temperatures in the teens and 20’s. I’ve used a flash light to look in the windows of the two warre hives to check on the bees. Green roof hive is looking good but I’m afraid flowers hive might be dead. I can see the bees all clustered together but no movement at all. Also seeing quite a bit of furry mold on the comb. The nuc is still a mystery as I don’t want to open it up to check….I hate this part of beekeeping. At our bee club meeting last night we had the discussion about overwintering our bees. One lady suggested that perhaps it would be a good idea to move the hives into a warmer, protected area like a carport or shed. While this sounds good it was pointed out that what is really better for the bees in general is to let the stronger ones survive the winter then try to graft some queens from this stock. 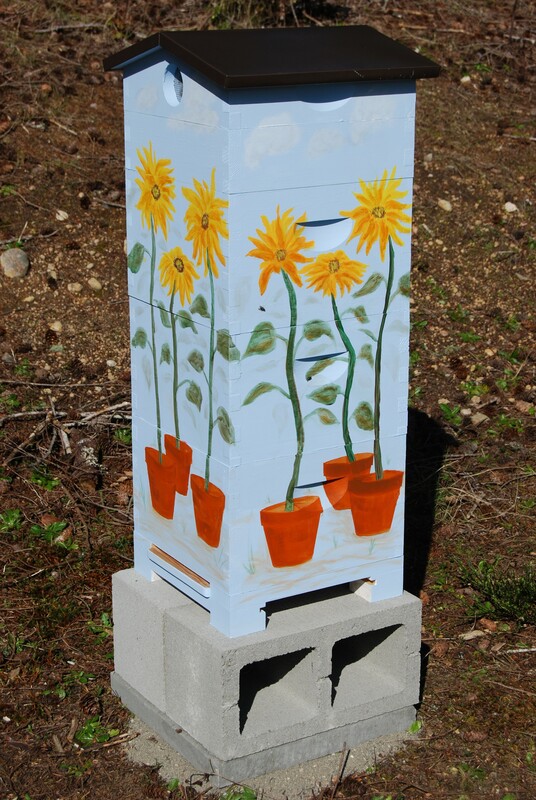 In this way we are promoting bees that are stronger and that can deal with winter in the Northwest. If each of these are kept in check the bees should make it. Have at least 2 of my 3 hives survive. I do have quite a bit of work to do on equipment. I need to build the nuc boxes I bought from Brushy Mountain when they had their sale and I also need to build a lot of frames so that I’m ready to stock the western, and I hope to build a jig that will help me to glue and nail straight frames……Can’t wait for the next day that is in the 40’s so I can take a closer look at the hives….Til then all I can do is worry.